Richard Dawkins lashed out at Pope Francis for the latter’s comparing modern eugenic efforts to Nazi precedents that sought to “create a pure race.” Dawkins fumed, “Abortion to avoid birth defects is not about eugenics. It’s about the avoidance of individual human suffering.” The Daily Wire observes: As noted by LifeNews, the “human suffering” that Dawkins refers to here is disingenuous, considering that many parents of Down children report loving their children and having much joy in their family. Dawkins advised such families to just “Abort it and try again” in 2014 when one Twitter follower asked what to do about her Down syndrome diagnosed baby. “It would be immoral to bring it into the world if you have the choice,” he said. The atheist lamenting about what’s “immoral” makes little sense. In Denmark, only four Down syndrome babies were born in 2016. 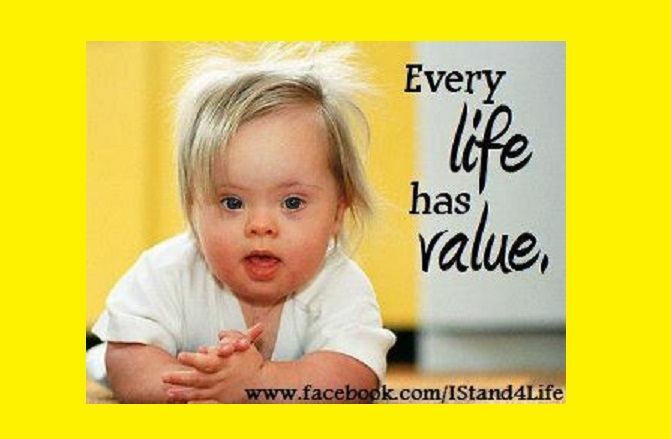 In the neighboring country of Iceland, the eradication of Down syndrome babies has reached near 100%. France has gotten in on the race, too; most recently, the country banned a television commercial featuring Down syndrome children because it upset the mothers who previously aborted them. I think the decision has to be left as part of the normal 'should we abort' question for individual parents - No-one is saying that any child -should- be aborted, there are however a lot of cases of disability or genetic issues that some parents may decide constitute too much to give a child to bear in life, and I deeply respect those decisions. I guess it's really about how much you think every single life has the right to exist no matter what. We seem to have no compunction about bumping off our enemies, hardly thinking about what those bombs are doing - yet we get all misty-eyed about a bunch of cells growing in a womb - rather 2-faced I think. I believe it's better to end any pregnancy with huge life risks for that human, as you are the only one with the responsibility to care about it's future. A horrible conundrum I know, and I wish to say I really admire those who take a definite stand & do their very best to do the right thing, regardless of the criticism of others with a different view - they are not right simply because they do not agree with your decision and religious hysteria has no place in such decisions ! Note - the Pope also has zero experience of such things, and is no more 'right' than any other human !